Gene and Karen (New) Curtis will celebrate their 50th wedding anniversary on Sunday, Feb. 17. 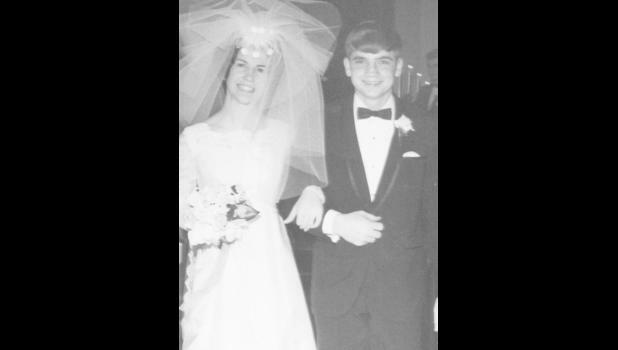 They were married on Feb. 15, 1969 at First Christian Church in Holton. They have two sons, Brian and his wife, Nicki, of Holton, and Bret and his wife, Jeanette, of Basehor. The couple also has four grandchildren, Brock, Erin, Makenzy and Zachary. Family and friends are invited to join them in a celebration from 2 p.m. to 4 p.m. on Feb. 17 at Penny’s on the west side of the Holton Square. The couple requests no gifts.